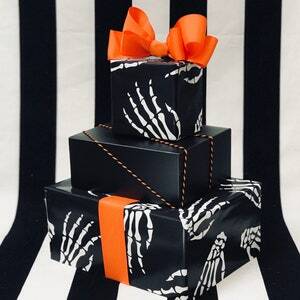 Need to add a little bit of spookiness to your Easter basket? 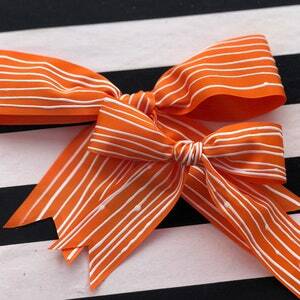 Throw one of our Haunted Easter bows on it! 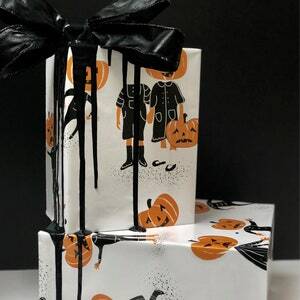 There are three different variations to choose from, and all of them have our signature handprinted Haunted Mansion ribbon included! 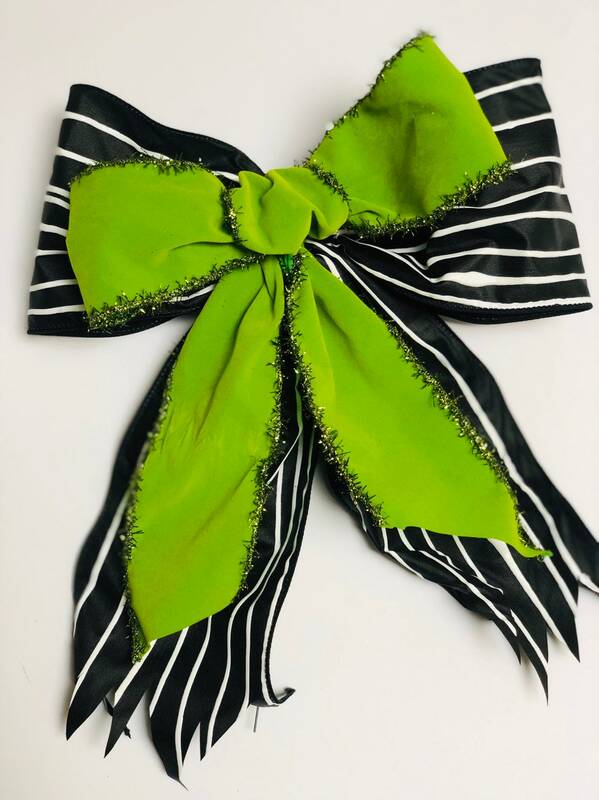 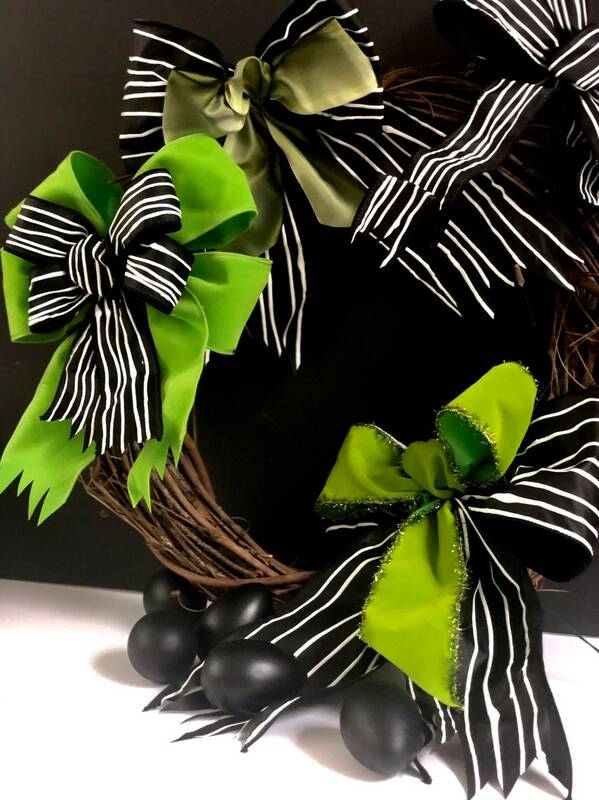 The green ombre and velvet green with sparkly edges have a 4" wide Haunted Mansion bow set behind the green pop bow and the bright green double loop bow has a 1.5" wide Haunted Mansion double loop bow attached. 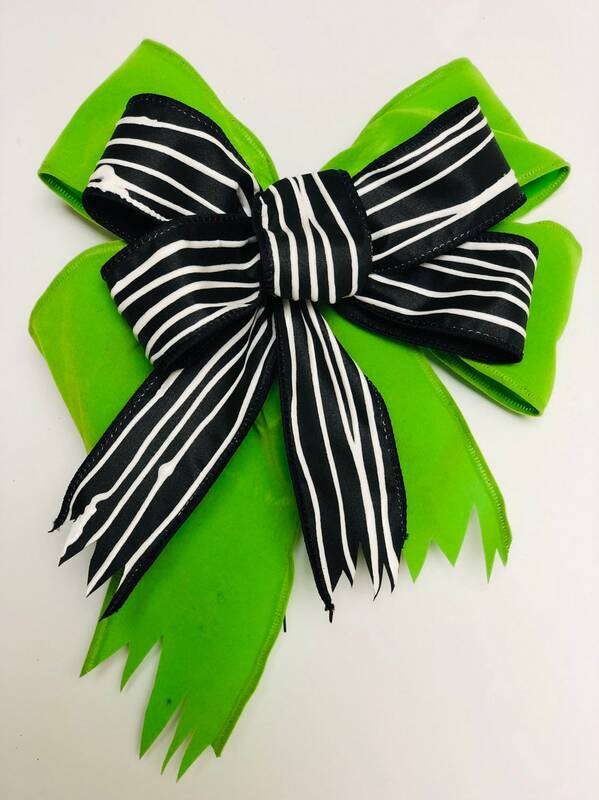 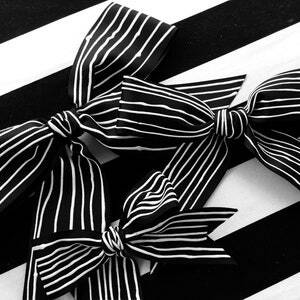 Our Haunted Mansion bows are all handprinted onto black matte ribbon with stripes that are meant to be imperfect, crooked and wonky. 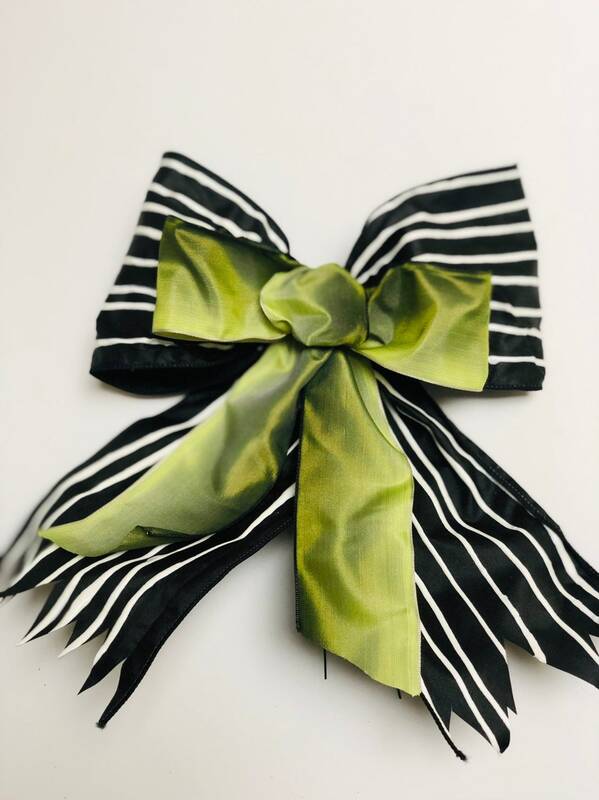 Each bow is tied with floral wire, and I would not recommend taking the bows apart as some of them are not one single piece of ribbon.